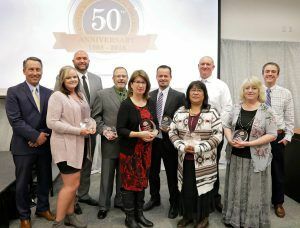 Four years ago Uintah Basin Technical College began an annual tradition of honoring “champions of education.” This year the event marked the conclusion of the college’s 50 year anniversary celebration held throughout 2018. As part of that event 14 alumni representing different decades and various college’s programs were recognized for their achievements. They each shared their story and what their education at UBTech meant for them. Tina Hemstreet was a stay-at-home mom with two small children when her husband lost his job in the oil field. That’s when she knew it was time for her to go back to school. So she enrolled at UBTech in 1981 in the Legal Secretary program. The class schedule worked, grant money was available to pay her tuition, and her husband was supportive. Attending school wasn’t always easy over the course of the three years she was in the program, but she had set a goal for herself and stuck with it. She graduated in 1984, a few months after giving birth to her third child. Upon graduation she was immediately hired as a legal assistant at McKeachnie Law Offices in Vernal where she has worked for 28 years. He made the decision to find a more stable career and a 9-month vocational education LPN program at UBTech seemed doable. He graduated from the LPN program in 1985. 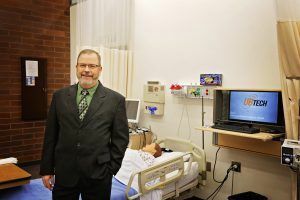 Eventually, Richardson earned his Masters of Science in Nursing and is now chief nursing officer and vice president of Patient Services for Uintah Basin Healthcare. Brothers Jay and Trent Jenkins, represent the Automotive program. Jay graduated in 1991 and Trent in 1993. Jay Jenkins owns and operates Jay’s Tire Pros in Bountiful. Sitting in a classroom day after day held no lure for Jay. He wanted to be out doing something and he didn’t mind if that something involved work. Back in the day Jay Jenkins wanted to be at the “VC” working on a car. Garth Sorenson was his shop teacher and Jay learned the basics of auto mechanics and repair from him. 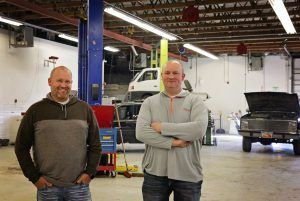 For the past 20 years he has operated Jays Tire Pros, a highly successful and rapidly expanding business in Bountiful. At UBTech Jenkins learned a trade that he discovered “people always need” – a trade that unlike most, flourishes even in a down economy. For Trent Jenkins it was the hands-on training offered at UBTech that “made a difference” when he enrolled in automotive classes as a teen. While he was working on cars at UBTech he realized that’s how he wanted to make his living. After graduating high school he worked for his older brother Jay, learning all aspects of the industry – from working as a mechanic to working the front desk, honing needed business management skills and taking care of customer service. Eleven years ago Jenkins made the jump and took the risk, going from employee to business owner – moving his young family back to Roosevelt to open TJ’s Tire Pros. He now employs 14 people in his business on Highway 40 just outside of Roosevelt. When Bettina Redfoot’s youngest child started kindergarten she went back to school herself. 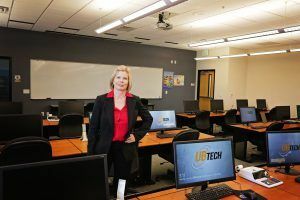 She knew that to get ahead in any job, she would need specialized skills – so she enrolled in the Computer Data and Business programs at UBTech in the early 1990s. 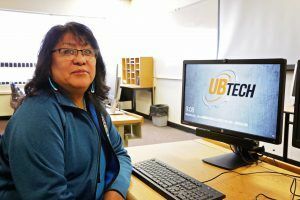 Redfoot went to work for Ute Tribe Adult Education Department as soon as she graduated from UBTech in 1994. She held that job for nearly 10 years and then 16 years ago transferred to Higher Education where she assists students in securing scholarships for college. The importance of earning a degree is something she makes sure to stress when working with the students she serves at Ute Indian Tribe Higher Education Department. 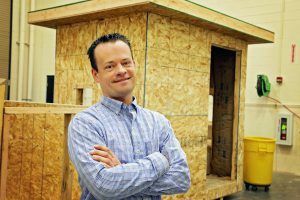 Tommy Winterton is another alum who took the education he gained at UBTech through his business classes and in the cabinetry and building construction program – and put it to work for him, building a successful career as a contractor and entrepreneur. When he graduated with his UBTech certificates in 1999, along with his wins at state building trades contests he had earned a scholarship to attend Southern Utah University. He credits his time at UBTech with giving him the building and construction skills, and the business management skills he still uses today as the owner of Winterton Suites, and in his technology consulting business. Jenna Liddell was in 9th grade at Union High School in 1999 when she enrolled in an Intro to Drafting course at UBTech – she was focused on the path that would lead her to a career in architecture. Goal oriented and driven, she earned a certificate while still in high school in 2003 which at that time paired her CAD/CAM courses with business classes. She is now a licensed architect with the Salt Lake City firm of Naylor, Wentworth and Lund. Her firm built the library addition to Duchesne High, and the new Roosevelt Junior High. 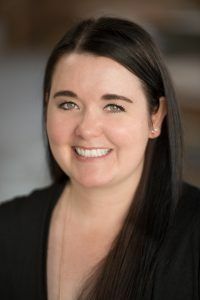 Most recently Jenna was working for the firm in Idaho as the project architect for the Idaho Falls Temple renovation, where she was in charge of structural and civil engineers, mechanical and electrical engineers and landscape architects. Barbara Simper enrolled at UBTech at the dawn of the new century. She wanted to update her computer skills to help her land a good job. 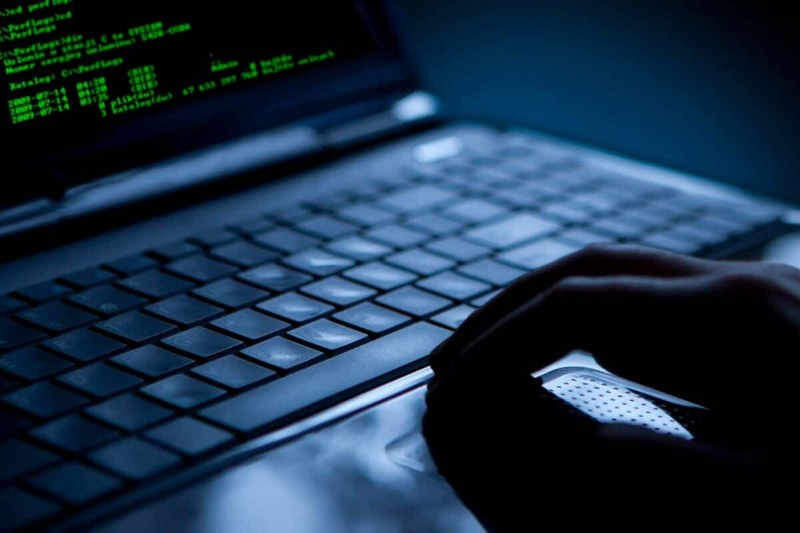 Simper enrolled in the Business/Computer Technology and Accounting Technician program. Flexible program dates, scholarships and the ability to work at her own pace while raising a young family made it all doable so she could graduate in 2001. Her schooling propelled her to positions with Uintah County and ultimately to a job she never imagined she would hold – Uintah County Assessor. One of Simper’s fondest memories of her time at UBTech was the example she provided to her children. Her son was even in one of her classes. 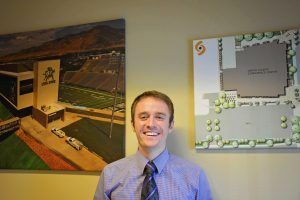 Dayton Law was a freshman at Utah State University, recently returned from serving an LDS mission, when he spotted an ad for a job. Although his competition was older than him and had more experience, he discovered he had something that none of them had- a background nurtured through technical education coupled with his own ambition. Law graduated from the UBTech Cabinetry program in 2007. He had put to use the valuable life lessons taught by his cabinetry instructor and mentor Aaron Reary, and had also begun his own small wood-working business while in high school – and it set him apart. The man who hired Law that day would eventually become his partner in Civil Solutions Group, the civil engineering firm that Law is now a principle in, operating their Utah Valley and Salt Lake City offices. 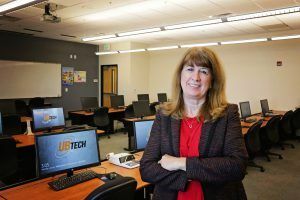 Billie Sue Perry went on line searching for a business class or two at UBTech that she could enroll in to update her secretarial skills and boost her resume. But something completely different caught her eye – the Culinary Arts program. Perry was a stay-at-home mom for 30 years but had some experience in the food industry because her mother ran a restaurant. Now a grandmother, she returned to the classroom. After her graduation in 2015, Perry was hired as deli manager at Ute Plaza. She was promoted to general manager of Ute Crossing Grill in October 2017. 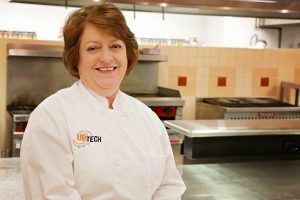 She says thanks to her training under Chefs Chris Taggert and Trever Nelson at UBTech she was able to launch a fulfilling new career. Tara Gautum, a former climbing guide on Mount Everest, immigrated to the United States in his 20s. Few of the children in his Nepalese village received an education past elementary school, yet Gautum held on to his desire for an education as his means to escape the extreme poverty of his youth. 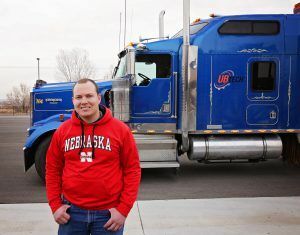 When he moved to Vernal about 9 years ago he had never seen a pumping location and had no concept of something as basic to the industry as casing and tubing – but that didn’t stop him from enrolling in the Petroleum Technology Certificate program. Even before he graduated from UBTech in 2012, Guatum was hired by Newfield Exploration. The company recently promoted him and transferred to Texas where he has taken on more responsibilities. Tara says he is living the American dream thanks to the education he received at UBTech. While attending Uintah High School, Levi Lewis recognized two things – he enjoyed diesel mechanics and classes were free during high school. 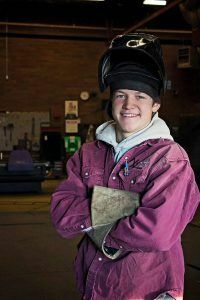 He put his natural talent and his education to work, and while still in high school in 2015 he earned a gold medal in diesel mechanics at the prestigious SkillsUSA state competition. The following year, he took home two more gold medals – one at state SkillsUSA and the other from the equally well-known Utah SuperTech Challenge. 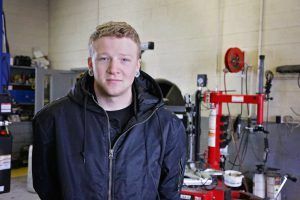 It didn’t end there, while representing Utah at the national SkillsUSA contest in 2016 he came away ranked among the top 10 diesel mechanics in the United States. Because he took advantage of both his interests and the available opportunities at UBTech, Lewis is enjoying his job as a Heavy-Duty Diesel mechanic at L&L Motor in Vernal. Misti Duncan has always had a deep desire to help people get on the right path. She also wanted to help those hurt because of crime. Despite dealing with some health issues, her dream was to attend the Police Academy and become a police officer. She committed to never skip a day of working out and she lost 81 pounds. Her supportive husband and children helped her along the way and now she knows there is nothing she cannot do. Duncan graduated from UBTech’s Peace Officer Standards and Training (POST) Satellite Academy in 2017. 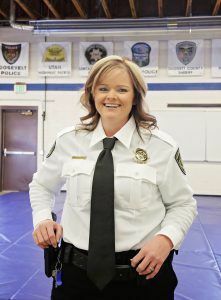 She now works as a law enforcement officer for the Duchesne County Sheriff’s Office. Not only was he adept at the trade, he immediately showed promising talent and skill. In 2017 Vincent traveled to the 44th WorldSkills competition in Abu Dhabi to test his skills against 1,300 other welders from throughout the world. 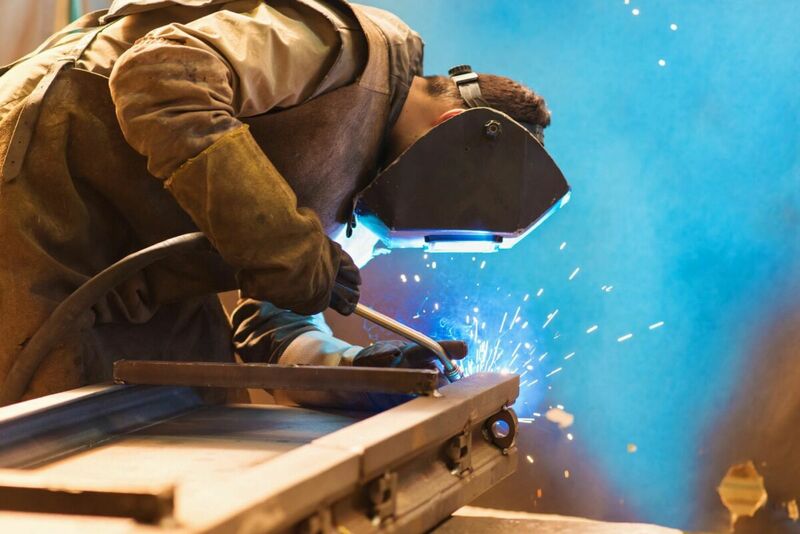 After competing in six different categories Chandler was named the top welding competitor from the United States, and the fifth best welder in the world. He also received a medallion recognizing him as “Best of Nation” – for scoring higher than any other competitor from the United States during the other competitions. Today Chandler owns and operates CRV Welding and Fabrication in Roosevelt. Alan Bolton grew up learning from his dad and grandfather how to mechanic. In high school his skills were honed further when he enrolled in diesel and auto classes. 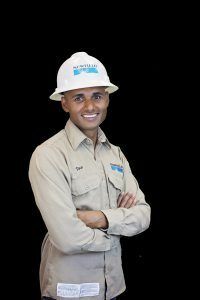 After graduating from high school he continued his training at UBTech to become a diesel mechanic and landed a job doing just that. However, a few years later he was ready to add to his resume and learn a second profession– that of truck driver. Bolton enrolled in UBTech’s CDL program. Because of his impending marriage and a new job offer for advancement, he was put on the fast track and worked hard to complete the 420-hour program in just over two months, completing it in 2018. “I had training in diesel mechanics but wanted to change careers by getting my CDL. I have an advantage at work because of my training at UBTech. I benefited from the small class size, and thanks to a scholarship I graduated debt free.